GPS vehicle tracking for pest control companies is growing popular. In this industry, pest control companies are looking for ideas to provide better service, protect their brand, and save money. 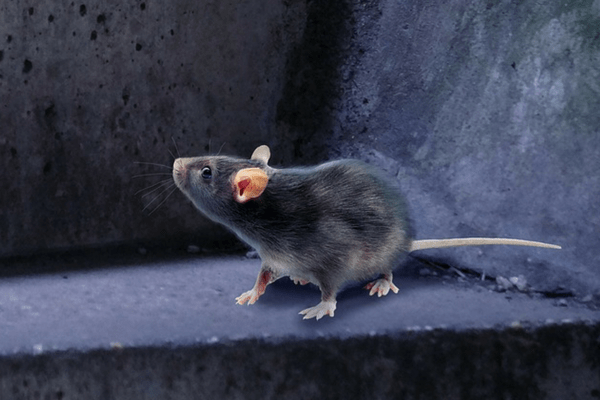 What’s with the hype about pest control businesses? Pest control remains a popular industry. Think about all of the recent headlines about pests! For example, remember the recent bed bug infestation? “Don’t let the bedbugs bite” used to be a figure of speech. Unfortunately, bed bugs returned and they returned with a vengeance! Over the past few years, bedbug infestations in hotels, hospitals, and residential areas made the news. And don’t forget about the giant rats! In some places, rats can grow quite huge. In New York, rats stole pizza and were caught running through the subway. The videos were then shared on YouTube and went viral. Customer service. An easy way to grow the business is to satisfy existing customers and encourage them to come back. Brand protection. What do customers think about a company? Related to providing good service, companies are challenged by supervising workers and ensuring that they act as good company ambassadors. Cost control. It costs money to do good business. Pest control companies need to spend money on its people and its equipment. Let’s take a look at how these 3 areas improved with GPS tracking for pest companies. A big part of growing pest control sales is winning repeat business and referrals. Are workers arriving on time? Are they spending enough time on site? Since pest infestations often require multiple visits, it’s important to leave a good impression every time. This ensure that customers will want a team to return and will refer the team to friends. One of the biggest reasons for using GPS vehicle tracking for pest control is to track customer visits. For businesses that frequently receive complaints, pest control fleet tracking was very useful. After being tracked, workers were more accountable and complaints stopped. Here’s a great story about customer support. A customer complained that service never arrived and was given a refund. Then, the customer complained a second time that the service was missed. After checking GPS data, it turned out that the team was on property. The customer finally admitted that they lied because of financial issues. The company then went beyond expectations by creating an affordable payment plan for the client. How is branding related to vehicle tracking? Mike Gibney, Safety Director at Orkin/Rollins explains it best. “Orkin is probably recognizable by at least 90% of the country as the bug company,” said Gibney. “We have a brand to protect.” Orkin would much rather be known as a bug company than a company with unsafe drivers. This is where vehicle tracking comes in. GPS vehicle tracking for pest control does a lot more than location tracking. Beyond looking at location, it helps people like Gibney get reports on driving and safety measures. And how did Gibney use this info? He was able to quickly find and warn drivers who sped, refused to use seatbelts, or drove after hours. Gibney then retrained drivers and increased his company’s safety rating. 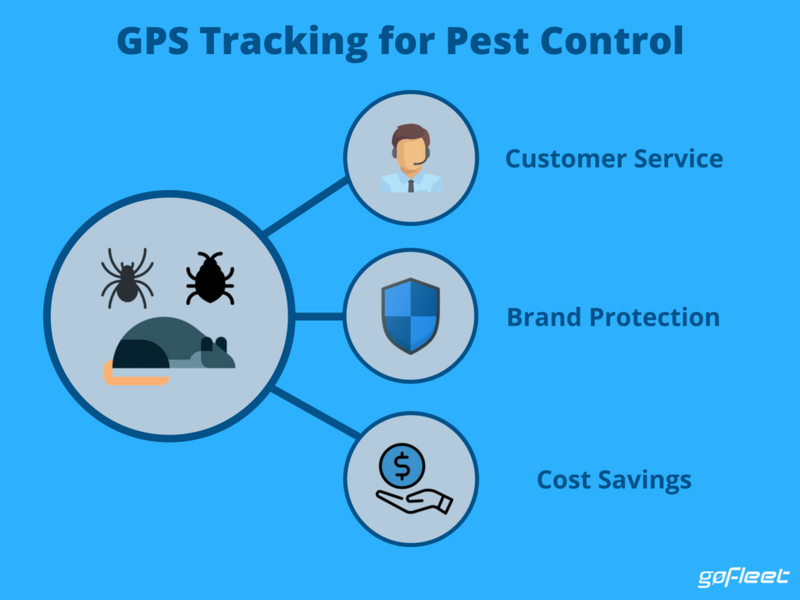 GPS tracking for pest control is worth much more than its cost. Because fleets are saving on fuel, safety, and maintenance, the program usually earns back the investment within the first year. Let’s take a look at some of the stats at Orkin. Orkin reports savings in several areas including insurance payments, accident reductions, maintenance improvement, and customer retention. Between all of these areas, $40M is saved each year. And what is the best part of saving $40M? Only $4M was spent. That sounds like money well spent! Click here for more information about GPS vehicle tracking for pest control.